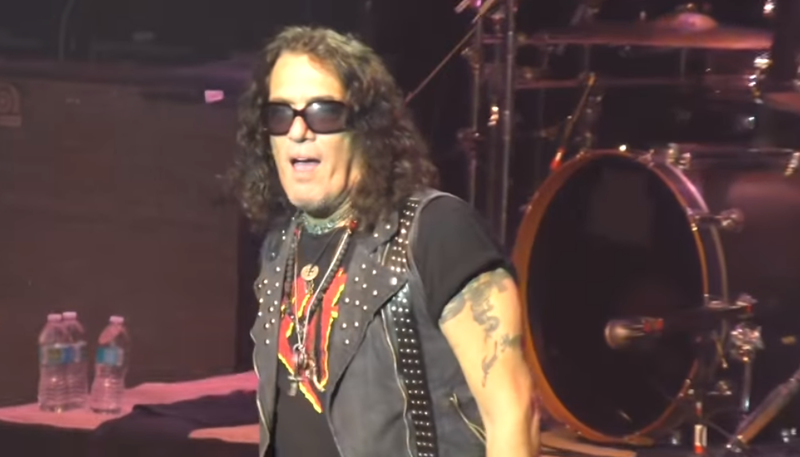 Blabbermouth — Some of the fans who attended RATT‘s concert Friday night (October 5) in St. Charles, Illinois say that lead singer Stephen Pearcy was “stumbling” and couldn’t “remember the words” to some of the band’s most popular songs. Fan-filmed video footage of RATT‘s performance at the Arcada Theatre — courtesy of YouTubeuser JW Stuff — shows the frontman slurring his way through the set and struggling to hit the notes in the group’s biggest hits. The Arcada Theatre performance took place just over a week after RATT‘s disastrous show in Huntington, New York, where Pearcy was also slurring while sitting down and nearly lying down on the drum riser. The 62-year-old singer also appeared to be slouching or leaning on to the bass drum during “Round And Round” and holding on to the tom-tom stand and bass drum to keep from falling over.